The Sony Centre for the Performing Arts is one of the foremost theatrical venues in Toronto and the largest soft-seat theatre in Canada. Not only can we boast an unobstructed view from every one of our 3,191 seats, but we are very proud of our unique place in the cultural life of Toronto. For over 50 years, our iconic canopy of lights has welcomed many thousands of guests to enjoy remarkable entertainment. Our global reach and our inspired programming is clear evidence of our role in establishing Toronto as the most culturally inclusive city in the world. In 2015, Toronto's City Council approved the consolidation of the governance and operations of the Sony Centre for the Performing Arts, St. Lawrence Centre for the Arts, and the Toronto Centre for the Arts into one new organization under the direction of a City appointed board called Civic Theatres Toronto. Civic Theatres Toronto relishes the opportunity to engage with the community by providing multi-disciplinary arts programming in our versatile spaces through education, creation, and performance programs – for all ages - in the communities they serve. Our mission to captivate and delight audiences remains undiminished. The Sony Centre is annually a host venue to a variety of dance, concerts, comedy acts, festivals, galas, award-shows, films with live orchestra and performances for the whole family. Click here to review our performance calendar. 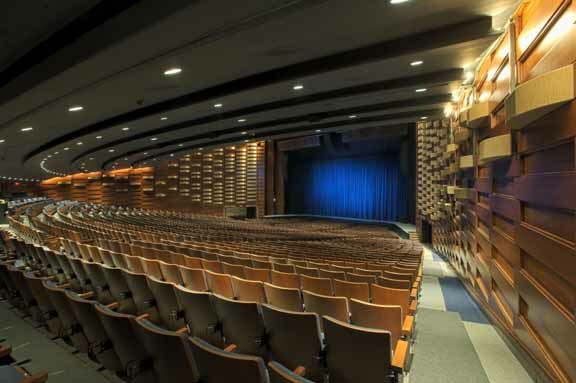 Further to the extravaganzas on stage and our engagement initiatives, the Sony Centre offers a multitude of ‘spaces’ within our downtown building that can be customized to suit every imaginable event. We have a dedicated team of in-house specialists to assist with planning and execution. This iconic venue was, and still is, the venue, where people go for a ‘big night out’. Please join us in embracing and celebrating the cultures of the world through experiencing live entertainment at the Sony Centre.